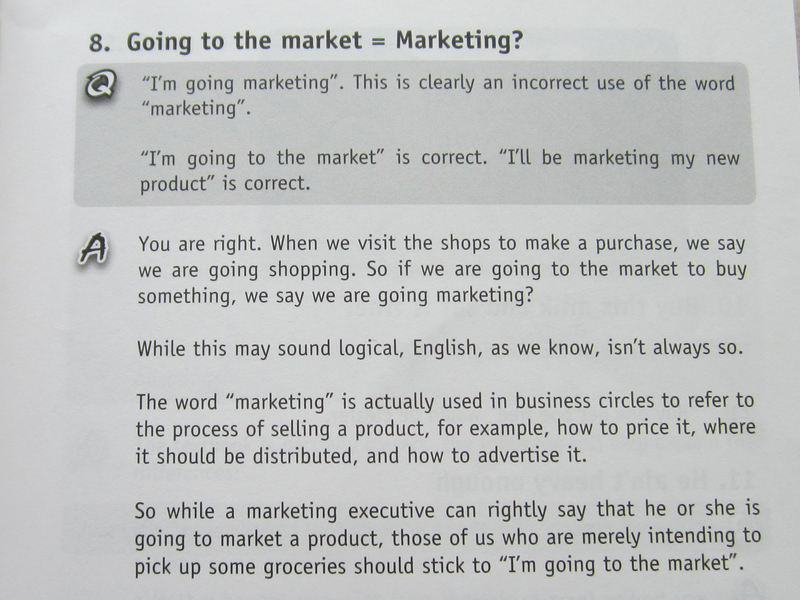 I have had a conversation in which I said ‘marketing’ and someone thought I meant ‘shopping’. It was awkward. There are some punctuation errors on the page, but you get the idea. I thought everyone knew that subject-auxiliary inversion is blocked in embedded wh-clauses! The answer given in the photo above is wrong. *Do you know who is the inventor of the camera? Do you know who the inventor of the camera is? 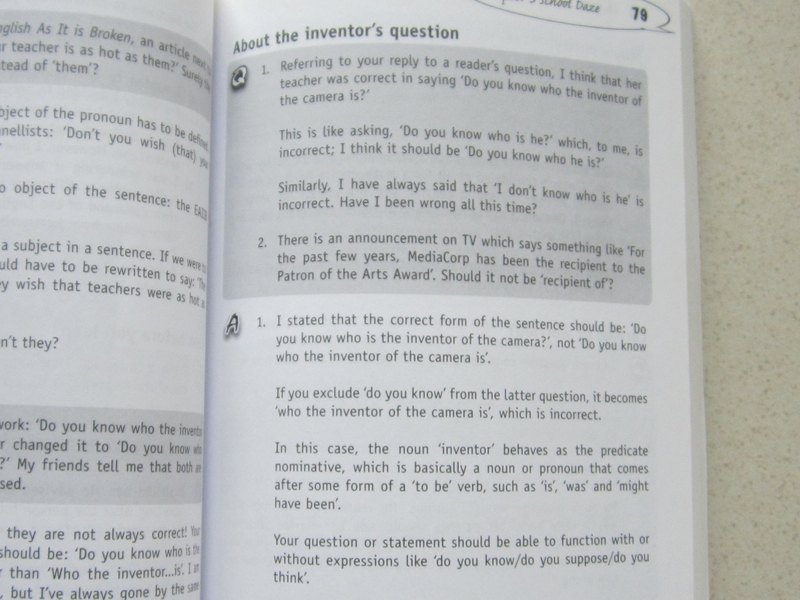 The “do you know” at the beginning changes the syntax of the sentence and cannot be ignored as the answer in the book suggests. What’s particularly sad is that the incorrect answer shown is the official answer after a reader wrote in and questioned the original incorrect answer. Do you know who the inventor of the camera was? Do you know who invented the camera? Previous Previous post: Up/down, left/right… lock/open?